Just a few fun things to brighten up your otherwise ordinary Friday afternoon. It’s been a wonderful week everyone! 1. 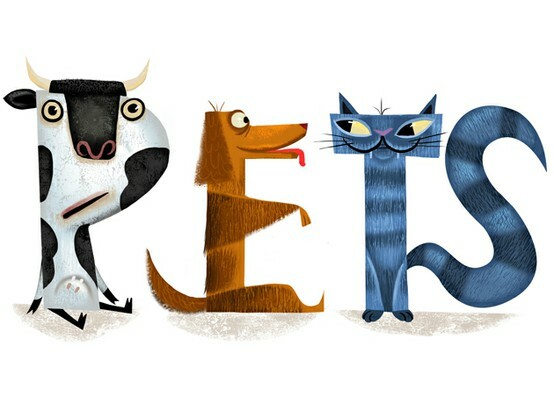 First of all these fabulous hand-drawn pet inspired letters (above) from The Letter Playground. If you are at all interested in illustration or typography we seriously suggest spending some time browsing this clever and creative site. 2. Fall always makes us dream of packing our bags and heading off to Paris for a few weeks. This adorable guest post by Emma Dime illustrates this dream beautifully — complete with sassy French Bulldog. 3. 26 reasons why owning a puppy is the same as raising a toddler — written by the lovely Andrea Tomkins this article gives a person a lot to think about. 4. These three beautiful dogs are presently in the care of Hopeful Hearts and are patiently waiting for their loving forever homes. 5. A fun dog inspired rain boot to make morning walks a splash! 1 Comment on Hooray! Friday! Eeeek dog wellies- I need them!